This is the landing page for the Google +1 extension for Opera. I have recently updated the extension, it should now be working properly again! With this extension you can view the Google +1 rating of the current website, and also you can +1 the site by clicking the +1 button. The links in the bottom, gives some information when you mouse over. 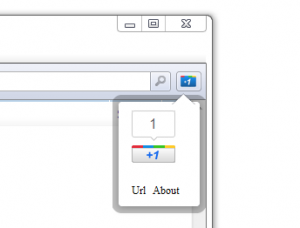 Mouse over the “Url” link to see the current address for which the +1 rating is. If you have questions, feedback, bugs etc, feel free to report them here.